ETC 4Stars plus Gold Award. Excellent Breakfasts and Very High Standards. 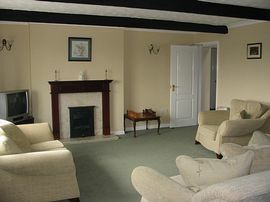 This peaceful house is set in the country with superb views also featuring a hundred foot Roman well! 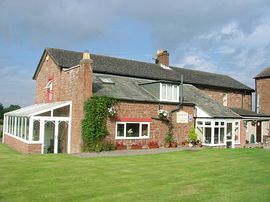 Ideally situated for touring the Lake District or Hadrian's Wall with easy access to the M6 and only 3 miles south of Carlisle. All guest rooms have their own style and decor with beautifully co-ordinated fabrics and furniture. Each room has a remote controlled colour television with digital receiver, radio alarm clock, hairdryer, hospitality tray and complimentary toiletries. All rooms are completely non-smoking and are fully double-glazed with central heating to assure you of a comfortable and restful stay. 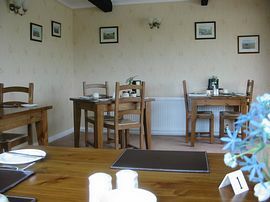 Guests can expect excellent food and generous portions, combined with comfort and friendly service. Our hearty Full English Breakfasts will set you up for the day, and everything we serve in the dining room is freshly prepared in our kitchen using locally sourced produce. Breakfast is served between 8.00am and 9.00am and special dietary requirements can be accommodated. Why not relax and enjoy our homely lounge at your leisure, select a book to read or just sit and enjoy the views with a beverage of your choice. Built by the Romans as a watering hole for animals on the Crossroads, 100ft deep (50ft to the water and 50ft of water) and lined with stone to 20ft. 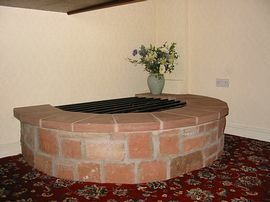 When the house was originally built in 1810 the well was outside, an extension 100 years later meant the well was within the property and was covered over. Single En-suite £32.00 - £45.00. Double En-suite £64.00 - £64.00. 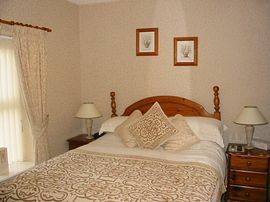 Family/Twin Room £64.00 - £75.00. All Year including Christmas and New Year. Pet Facilities: Pets are allowed. By Prior Arrangement. Special Diets Provision: Special diets are catered for. By Request. Leave the M6 at Junction 42, once on the roundabout take the exit sign posted Dalston 5 Miles. Travel for 1 mile to the first crossroads.